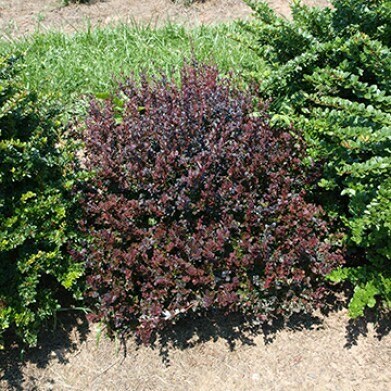 Dwarf low mounded shrub with dark burgundy-purple foliage. Sterile variety that makes a great foundation plant with its tidy habit. Full sun and well drained soils for best performance.